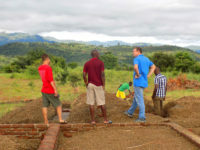 Rob Green first came to Malawi in 2015 as an ETHOS student from the University of Dayton. He is an engineering graduate and is currently undertaking a masters of environmental engineering. Since January, Rob has been working closely on a number of construction projects with Determined to Develop (D2D), sharing his knowledge with local builders and being the go-to on site engineer. We caught up Rob before he left to return back to the USA about his time working with D2D at the Wasambo High School site. 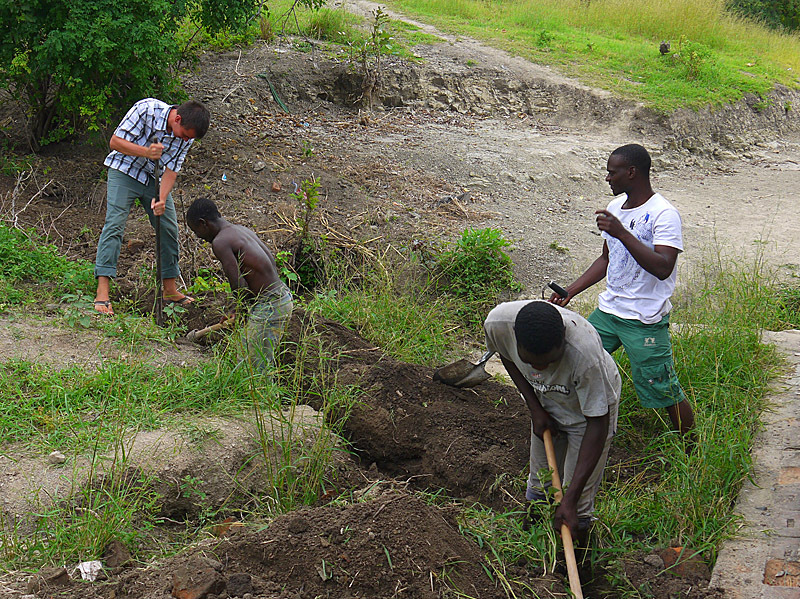 Can you tell us a little bit about what projects you worked on whilst you were in Malawi with D2D? I have been assisting on different construction projects for D2D, but have mostly been focusing my time on the High School project. I have been overseeing and observing the day to day construction on site. I’m heavily involved with workers, acting as a go between for the plans and construction workers, in order to use local methods and labor. 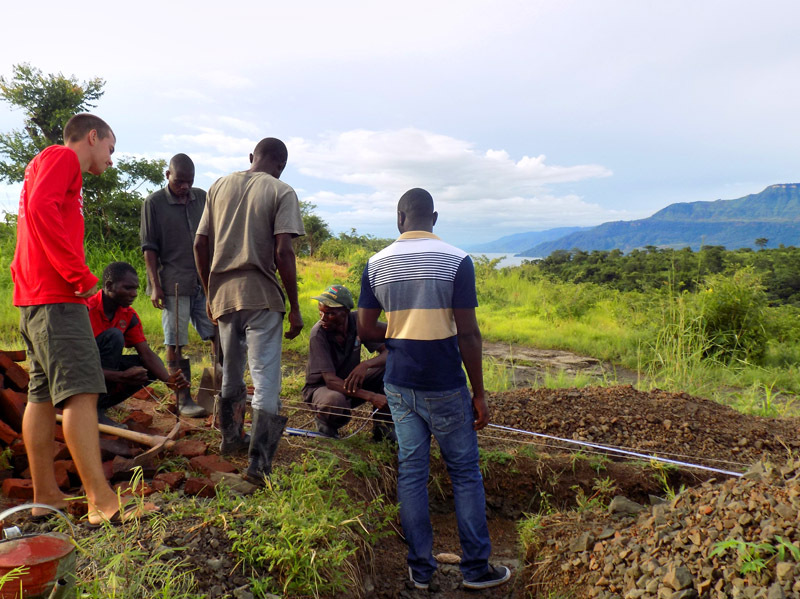 In simple terms, I’ve been adapting my engineering knowledge to fit into a Malawian framework to make sure this school is built to the best standard. What have you enjoyed the most about your time here? When I first came to work with D2D in 2015, I took part in the initial land survey for the Wasambo High School site. It involved a basic survey of the area to map out peoples farms, set the boundaries and get an initial feel of the site space. It’s been incredible to come back 2 years later and play a part in the construction phase as it’s in full swing. This time around, I have been able to spend 5 months working closely on D2Ds projects (compared to 2 months last time around). Staying a bit longer means I’ve been able to enjoy the family feeling more. I’ve been close to the local community, seeing the workers grow and progress day to day. I’m seeing their knowledge and experience grow. I’ve enjoyed it all a lot. What have you found challenging? It was initially difficult to adapt to the pace in Malawi. Power cuts, funerals and rain are all normal setbacks to Malawians, so I had to adjust quickly. The biggest challenge has definitely been the rain! Heavy rains mean the roads become bad and often the truck carrying bricks to the site gets stuck in the mud. That issue, along with workers being rained off, means sometimes construction is paused. Some construction has been challenging because of the hilly land and sometimes it’s difficult to find enough bricks for this huge project. A project of this scale is a new venture for everyone, but one everyone is embarking on together. It’s great to see so many people behind this school, working together step by step to overcome the challenges! If you had to name a couple of big achievements, what would they be? In honesty, every time a truck full of bricks gets to the site without getting stuck, it feels like an achievement! The achievements are the baby steps which are amounting to big progress. The seemingly small victories are adding up, like workers catching their own mistakes before they are made- that sort of thing. Everyone is learning and progressing. The most obvious achievement to me is getting a water system up and running. It was great to be part of that! What are you going to miss the most about working with D2D? I’m going to miss my friends at the high school site. 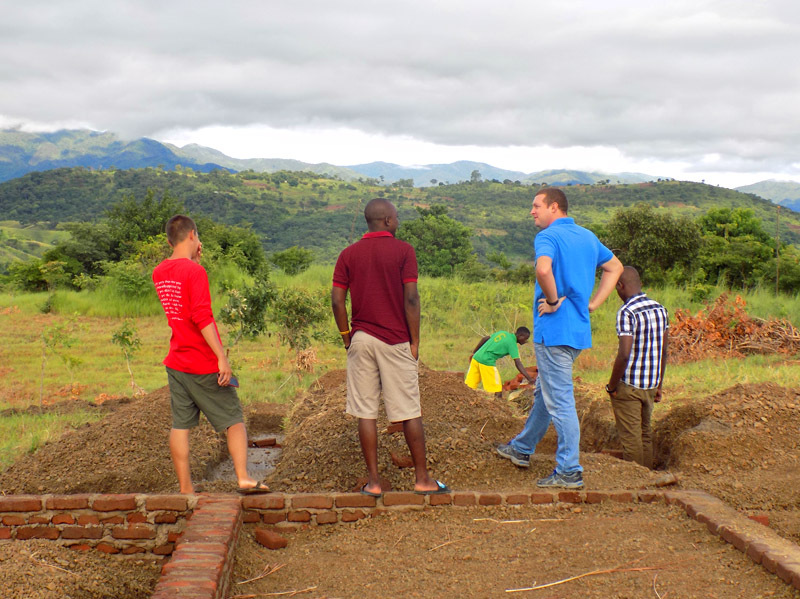 I’ve felt like a part of the community this time around and have felt the warmness of Malawians in full force. I’ll miss the sound of the lake, too. What are you most excited about for the future of the projects you have been working on? I can’t wait to see the classroom blocks and gardens be completed. All the little things which are going to make the site a school are exciting. When I come back in the future, I would love to meet students, teach a class and see the school up and running! I’m also excited to come back and see the current university students that D2D supports as graduates. I’m forever in awe of the things that D2D is achieving and being able to be a small part of it all is humbling. I’m thankful for everyone who made my time enjoyable and will miss life at D2D.